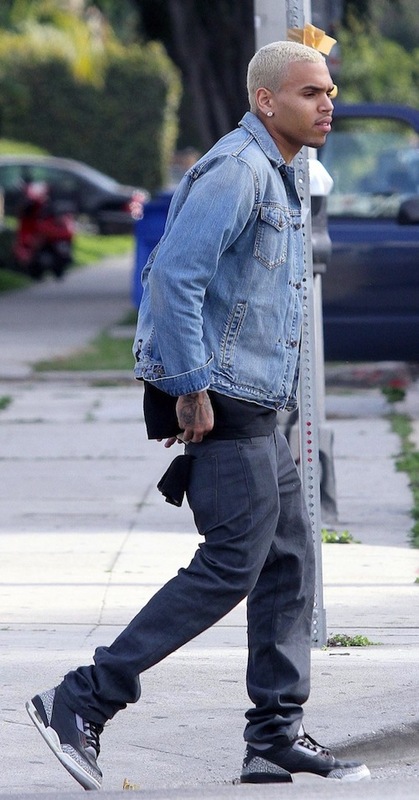 Over this weekend, singer Chris Brown was spotted walking around in Los Angeles in a $150 pair of Air Jordan Retro 3 cement sneakers. Breezy worn his Jordan Retro 3 kicks with a pair of dark denim jeans, black tee-shirt and a 10 Deep Ranch Hand vintage denim jacket. Breezy will be releasing his forthcoming LP F.A.M.E. (Forgiving All My Enemies) on March 22.